Sri Lanka’s white ball skipper Lasith Malinga’s future as the captain has come under the scanner after being accused of serious misconduct by fellow senior players. During a meeting called up by Sports Minister Harin Fernando last week, Malinga had been accused of being a disruptive element in the team creating disharmony and friction. 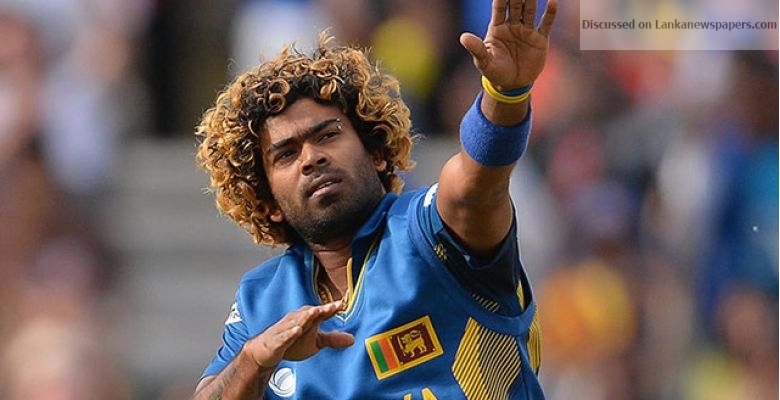 All three former captains – Angelo Mathews, Thisara Perera and Dinesh Chandimal – who attended the meeting alongside Malinga had accused him of being involved in sinister campaigns to tarnish their reputations, a source privy to the meeting told The Island. Mathews, the man earmarked as Sri Lanka’s captain from a young age, is said to have been the most critical accusing Malinga of carrying out campaigns questioning his integrity. Chandimal too is said to have an axe to grind with Malinga with Perera not mincing any words, the source added. Earlier Perera had responded harshly after being accused of seeking political favours by social media arms under the control of Malinga. Malinga on the other hand is said to have not countered the allegations but had wanted Head Coach Chandika Hathurusingha sacked and replaced by a foreigner. Incidentally when SLC had given Malinga the cold shoulder by not picking him for a period of one year due to poor form and indifferent attitude, it was the Head Coach who played a pivotal role in him getting back into the team when the player was contemplating retirement. It was all changing too fast in cricket circles. One of the by-products of the October 26 government change was the appointment of Malinga as the ODI and T-20 skipper whereas Ashantha De Mel’s predecessors had indicated in going ahead with Chandimal as ODI captain until the 2019 World Cup and Perera as the captain for the 20 over World Cup in 2020 to be staged in Australia. Within four weeks, Chandimal lost both the ODI and Test captaincy and there had been little communication between the selectors and the captain. De Mel and Hathurusingha too have not seen eye to eye. Worse, the two have had little communication whatsoever since the team toured New Zealand in December. Speculation is rife that the white ball captaincy will be handed back to Mathews as he is seen as someone who could bring all parties together. However, an insider said that the chances of Mathews making it to the ODI and T-20 legs of the South African tour as fifty percent. Mathews is recovering from a hamstring injury.